It's been a while since I've had the chance to work with a WAHM who sews her own products from her den or kitchen table! 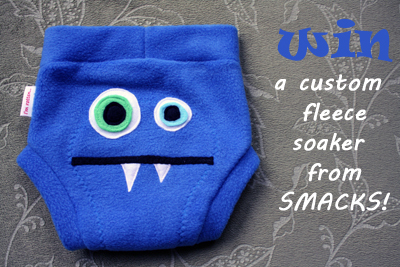 For this reason I was thrilled to be able to recently partner with Deanna from Smacks, a work-at-home labor of love surrounding all things fleece soakers! Deanna is a stay at home mom to two sweet boys, and she has turned a real talent for sewing into gorgeous diaper covers to share with mamas everywhere! She puts together soakers, shorties, and longies in a variety of styles (solids, prints, or even with appliques and ruffles) depending on what you're looking for. She sells covers through her Facebook page and crafts up custom covers to fit your exact needs and tastes. Being as I have ZERO sewing ability whatsoever, I was dazzled by her cute covers as well as just how professional my sample looked when it arrived. It is tagged with a cute little company logo (looking super official). The stitching was well-done and a white liner on the inside looked professionally done. It is great to see a mama taking so much pride in her work, even when it's home-grown. It makes these covers better than a lot of factory-made stuff just for this reason! In terms of this style of soaker, fleece was a new material to me. 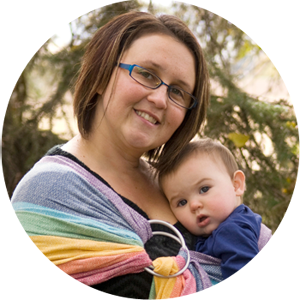 Typically I use mostly PUL-based pocket diapers with my kids. In the past, when I've used prefolds or fitteds, I've used different types of snapping or velcro PUL waterproof covers as well. In asking Deanna a few questions, doing a bit of research, and learning the ropes through the review process, I learned that when it comes to fleece, you almost can't go wrong! There are a lot of upsides to this material! Firstly, it is an accessible material to purchase, so covers are super cheap (starting at only $7) to purchase. This is considerably cheaper than many PUL covers (and way, way cheaper than wool covers!). As with most waterproof covers, you also need fewer of them (as compared to pocket diaper shells, etc) since they can be reused multiple times with diaper changes. Because of their repellant quality, soaker covers will not absorb urine and really only need to be washed/changed once a day (or maybe even less). Of course, the exception to this would be if they became dirtied with poop. An extra liner is stitched in very professionally, and all the cuffs and seams are soft and cozy. In terms of fit, a fleece cover is considerably more comfortable than many elastic-based PUL covers, which tend to dig into chunky waists and thighs, leaving a mark. It is also much softer and less itchy than wool. Fleece also requires zero maintenance (as compared to wool, which needs special washing routines and re-lanolization every so often). 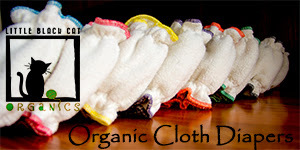 In fact, fleece diaper covers can be washed with any type of laundry--diaper laundry, baby laundry, or even regular household laundry. 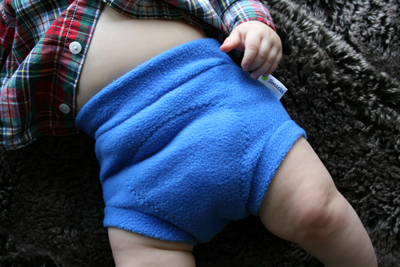 Even if some fabric softener were to make it into a load with your fleece covers, this wouldn't be a big deal as it would only serve to make the diaper cover even more repellant (waterproof). 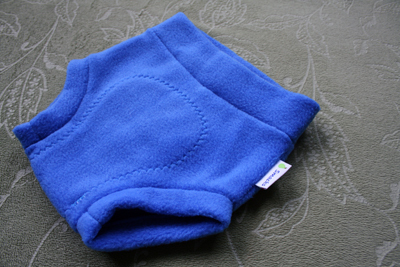 Fleece can be washed in any temperature and can be thrown in the dryer. Even if it weren't thrown in the dryer, it would dry quickly in the air since it doesn't retain moisture. Overall, can you tell this is a very low-maintenance, inexpensive cover (that is super cute to boot!). It is worth mentioning the downsides to fleece, however. 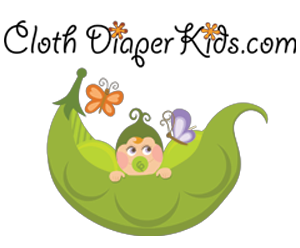 Fleece is not as breathable as natural fabrics like cottons and wools, so in warm, humid weather it retains a lot of moisture (like PUL does), and could serve to promote a rash or irritation, especially if you don't allow baby's bum to dry out between changes. We don't tend to get too much hot weather where I live, so this is rarely a consideration for me personally (if you lived in Florida, however, you might have more concerns!). Smacks' soakers are also sized for a perfect fit, so they are not the one-size option you may get with some snapping or velcro-style PUL covers. The upside to this, however, is that these covers truly just look like another article of clothing (and can be worn as such), rather than just being worn as a "diaper". We all know other diaper covers don't give off this vibe and should still have an article of clothing overtop when out in public, etc. Adorable. Absolutely adorable! Too bad I missed the giveaway. Off to find out more about Smacks.